Communities around the country, from rural places to major cities, are using smart growth and green building strategies to create more economic opportunities, offer more housing and transportation choices, promote equitable development, and improve quality of life. These same strategies, with some tweaks, can make neighborhoods and cities more resilient to current and projected climate change impacts, including flooding, sea-level rise, extreme heat, drought, and wildfire. 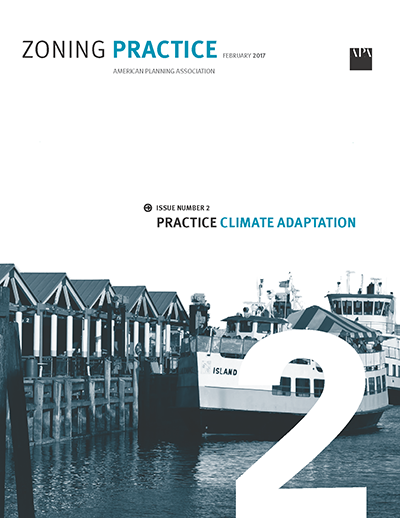 This edition of Zoning Practice explains how development regulations that promote smart growth and green building principles can also help communities adapt to a changing climate.